TissUse Smart Hair Transplants - the Next Generation Hair Transplant? Hair loss research projects lately are focusing on a sort of hybrid treatment / hair transplant model whereby curing hair loss would consist of a cellular harvesting, multiplication, and growing of new follicles for implantation into desired areas. This differs from typical treatments in that it doesn’t seek to grow hair via chemical means, on the scalp itself. It could be considered the next generation hair transplant technology however. HairLossTalk recently spoke to TissUse, a company seeking to improve upon existing hair transplant methods. Their goal is to reduce the invasiveness of the procedure as well as increase the number of available hairs for implantation. Currently, the gold standard methodology for hair transplantation known as strip excision, requires the removal of a flap of skin from the back of the head. This strip of skin typically provides about 8,000 hairs for the procedure. TissUse is seeking to instead isolate cells from existing follicles, and “multiply” them externally to produce upwards of 10,000+ neopapilla, which have the potential to form new follicles. They are seeking to do this with only 30 punch biopsies. This massive reduction in surgical effort, healing required, and increased donor hairs is the main improvement their research hopes to achieve. 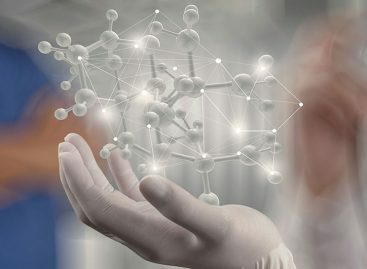 Proof of Concept in clinical trials is the next milestone toward clinical application and commercial use. HairLossTalk’s “Swoop” reached out to TissUse with a handful of “Science” related questions, as well as “Commercial” (product) related questions. HLT: What are the major roadblocks you have faced in the research so far? Are there still any problems to overcome before engaging in clinical trials? Model development has been completed and proof of concept could be shown in pre-clinical studies. We also established a GMP compliant manufacturing process for production of Smart Hair Transplants (SHT). TissUse as a company is focused on the development and sale of our Multi-Organ-Chip technology for predictive substance testing. We are therefore looking for third parties who are interested in investing into the SHT technology to initiate the necessary clinical trials. In this regard, we are also looking at other funding opportunities. HLT: Previous research groups have struggled with retaining gene expression of the dermal papilla. Can you elaborate if this is a concern for TissUse? It is true that dermal papilla cells once cultivated in vitro for prolonged periods of time will undergo changes (our data actually suggests they move to a more undifferentiated mesenchymal stromal cell type as they can then be differentiated along the adipogenic, chondrogenic and osteogenic lines). This change is also reflected in the loss of inductive hair growth capacities. However the inductive capacity as well as the specific genotype of the dermal papilla cells can be regained by re-establishing the natural 3D architecture of the dermal papilla. We do this by generating our so-called neopapilla using a special cell culture technique. These neopapilla very closely resemble the dermal papilla in vitro. HLT: To what extent do you think the newly created follicles will mimic the donor hair follicle in terms of gene expression and visual traits? We only compared gene expression pattern of the in vivo dermal papilla with our SHT neopapilla so far. Our in vitro microfollicle model shows many similarities in gene/protein expression to the native hair follicle. A true comparison between donor hair follicle and SHT induced hair growth would only be possible during clinical trials. The same holds true for visual traits. HLT: What is the expected number of maximum hair follicles can be created out of the donor sample? We are currently calculating with a multiplication factor of 300, meaning we are aiming to generate 10.000 SHT out of 30 FuE biopsies. HLT: On your webpage it states that the “SHT” would require a “one man team”, can you elaborate on this? This refers to the procedures taking place at the hair restoration clinics. Basically the surgeon just needs to extract 30 FuEs at the beginning f the procedure. It is then shipped to the GMP manufacturing unit where the dermal papilla cells are isolated, expanded and the SHTs are generated. They are then shipped back to the clinic where the surgeon can implant them into the scalp of the patient. HLT: Regarding the process of delivering the neopapillae to the scalp: Do you anticipate this being an automated process performed by a device, or will it require the hand of a trained and skilled surgeon, similar to hair transplants? As a follow up to this, have you seen success injecting the neopapillae directly into the scalp with a needle, or must they be delivered to the skin with an incision? Both delivery options are viable. However we are currently looking more into procedures performed by a surgeon using an applicator device. It is planned to inject the SHT. No incision is necessary. 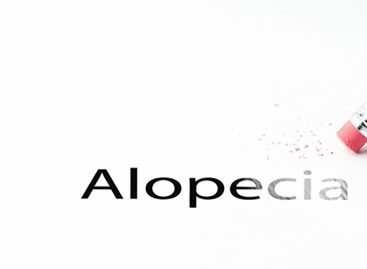 HLT: Certain individuals with advanced androgenetic alopecia experience significant miniaturization of follicles and extensive loss on the sides and back of the head. This is the typical location for donor follicles for transplants and with your therapy. As a result, these donor follicles may be extensively affected by AGA prior to the procedure. What can these people expect from your therapy? There are currently no facts available to answer this question. However it is planned to include a range of individuals with different stages of hair loss in the clinical trials. This will allow us to more definitely assess the potential of SHT to counter hair loss at different stages of alopecia. HLT: Studies have shown that the hair shaft thickness seems to be determined by dermal papilla size. If this is true then could it be possible to also control hairshaft thickness with the neopapillae method? It is not planned to include different sizes of SHT in the first clinical trials. However this could be a parameter, which could be explored in more detail later on. Keep in mind however that the size of an in vitro generated 3D organoid is limited by diffusion of nutrient and oxygen to the core of the organoid. If the organoid is too big, a necrotic core will be created which leads to a lot of undesired effects in the organoid. Nature circumvents these size limitations by vascularization. HLT: The central advantages of the neopapillae method seem to be that it’s less invasive and allows for the access to a way higher amount of hair follicles. Current methods also fail to deliver density that matches a natural head of hair. What other advantages are you anticipating for the neopapillae method in comparison with current methods? For instance, do you expect to be able to archive a higher density or the ability to control hair color? Rejuvenation of dormant hair follicles through injection of the neopapillae at the site of the dormant hair follicle. De novo creation of a hair follicle by recruiting keratinocytes and melanocytes from the surrounding tissue to the site of the injection. This is a process that would closely follow the organogenesis of the hair follicle and which we can also observe in vitro in our microfollicle model. If this 2-fold induction mechanism allows for a higher hair density has to be proven in the clinical trials by comparing SHT vs established methods. Having the ability to control hair color would surely be awesome. As of now our focus lies on achieving efficient hair growth with our SHT method but having a robust method in place to influence hair colour would surely be an advanced step to investigate in the future. HLT: If someone had a hair transplant done prior to this procedure. Will the method allow to regrow hair where the transplanted hairs are? Unknown. This has to be evaluated in extended clinical trials. However I can’t think of an immediate reason why this shouldn’t work. HLT: We know through observations and studies that a horizontally cut hair follicle is able to regenerate itself. Furthermore, Jahoda proved with the following study http://www.nature.com/nature/journal/v402/n6757/full/402033a0.html that his dermal sheath cells were able to induce a new hair follicle in the forearm of his wife. Taken these observations it seems we would be able to induce new hair follicles if we are able to correctly culture these cells. We seem so close, but yet so far? What possible reasons do you think there would be for the neopapillae method to fail? Our neopapillae have been able to induce hair growth in vitro and in mice. However everybody who is reading up on trials in mice will recognize that the significance of achieving hair growth in mice is limited. I might be exaggerating a bit here but you can basically achieve growing hair in mice with almost every method which includes some kind of hair follicle related cell types. The true test comes with the clinical trials and showing the efficacy of the method. 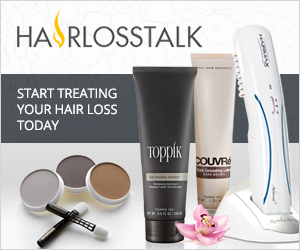 There are a plethora of factors associated with hair loss in men. Each patient will be different with regard to the role all these factors will play. So the main question is: Will the proven inductive capacities of the neopapillae be powerful enough to be effective in a broad patient population? This also includes developing a smart strategy of injecting the SHT into the right positions in the scalp. If you are not able to position the neopapillae it would highly likely be associated with a loss in efficacy. HLT: How do you think the neopapillae will fare when delivered into harsh conditions? Would it be able to induce hair follicles in fibrotic (scar) tissue? Unknown. I also don’t believe it is planned to recruit respective patients for the first clinical trials. But it is certainly something we would like to explore in more detail in the future once we have successfully completed our first clinical studies. HLT: Would you guys be able to grow micro hair follicles using dermal papilla cells from balding scalp and test drugs/genetic manipulations on them or would those cells be damaged to grow micro hair follicles at all? Our in vitro microfollicle model which consist of the neopapillae + keratinocytes + melanocytes (optional: endothelial cells) is specifically designed to test hair growth promoting/hair growth reducing agents. Due to availability the required cell types are derived from donor material from non-balding areas of the scalp. We did not have the chance to work with hair follicles from balding area. As you can imagine they are very hard to come by. HLT: Have you considered several markets or where will you start trials? Could it be quicker to market in Japan? Our preference is to start in trials in Europe. Europe’s ATMP regulations are the strictest worldwide. While it is certainly a challenge to bring SHT to the market in Europe, once achieved it should be comparably easy to acquire market authorization in other regions. Japans government is actively promoting cell-based therapies. Therefore it certainly is possible that the time to market in Japan could be shorter. HLT: TissUse seemed to have troubles with funding issues, how is the situation currently? Please see our answer to scientific question 1. HLT: When will the method be tested out in humans as a proof of concept study? If everything goes well, when would be the quickest release on the market so that everyone can access it? This depends on available funding for a proof of concept. We estimate it will take at least 3 years to finalize the first clinical trials. HLT: A bold question perhaps to ask at this point, but what do you expect to be the price for a treatment like this, can you give a rough indication? As we will not offer the SHT treatment, we cannot really comment on this. Price will be determined by the surgeons/clinics who will offer the treatment. We know that price can be a big issue and are very sorry that we cannot give you a more definite answer. HLT: Can cultured and amplified cells or neopapillaes be stored in cryopreservation for future use in the same individual? We have not explored the option in detail but storing amplified cells certainly is a very viable option. In addition, a lot of progress has been made in cryopreserving more complex 3D cellular structures like cell spheroids. Therefore it is possible that storage of cells and/or neopapillae will be available in the future.